Why do trains stay on the track as they go around a curve? Walter Lewin, professor of Physics at MIT, explains Heisenberg’s uncertainty principle in this short video. Now that is very non-intuitive but it is the way the world works. The essence of quantum physics is unpredictability. At every instant, the objects in our physical environment—the atoms in our lungs and the light in our eyes—are making unpredictable choices, deciding what to do next. According to Everett and Deutsch, the multiverse contains a universe for every combination of choices. There are so many universes that every possible sequence of choices occurs in at least one of them. Each universe is constantly splitting into many alternative universes, and the alternatives are recombining when they arrive at the same final state by different routes. The multiverse is a huge network of possible histories diverging and reconverging as time goes on. The “quantum weirdness” that we observe in the behavior of atoms, the “spooky action at a distance” that Einstein famously disliked, is the result of universes recombining in unexpected ways. Science is about facts that can be tested and mysteries that can be explored, and I see no way of testing hypotheses of the multiverse. Philosophy is about ideas that can be imagined and stories that can be told. When and why did philosophy lose its bite? How did it become a toothless relic of past glories? These are the ugly questions that Jim Holt’s book compels us to ask. Philosophers became insignificant when philosophy became a separate academic discipline, distinct from science and history and literature and religion. The great philosophers of the past covered all these disciplines. Until the nineteenth century, science was called natural philosophy and officially recognized as a branch of philosophy. The word “scientist” was invented by William Whewell, a nineteenth-century Cambridge philosopher who became master of Trinity College and put his name on the building where Wittgenstein and I were living in 1946. Whewell introduced the word in the year 1833. 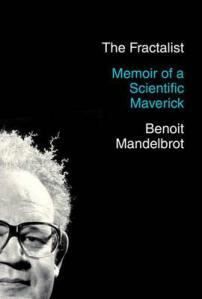 He was waging a deliberate campaign to establish science as a professional discipline distinct from philosophy. Whewell’s campaign succeeded. As a result, science grew to a dominant position in public life, and philosophy shrank. Philosophy shrank even further when it became detached from religion and from literature. The great philosophers of the past wrote literary masterpieces such as the Book of Job and the Confessions of Saint Augustine. The latest masterpieces written by a philosopher were probably Friedrich Nietzsche’s Thus Spoke Zarathustra in 1885 and Beyond Good and Evil in 1886. Modern departments of philosophy have no place for the mystical. In this beautiful video Richard Feynman on the nature of why questions and how they help us understand the world. Feynman: Listen to my question. What is the meaning when you say that there’s a feeling? Of course, you feel it. Now, what do you want to know? Feynman: Of course, it’s an excellent question. But the problem, you see, when you ask why something happens, how does a person answer why something happens? For example, Aunt Minnie is in the hospital. Why? Because she went out, slipped on the ice, and broke her hip. That satisfies people. It satisfies, but it wouldn’t satisfy someone who came from another planet and knew nothing about why when you break your hip do you go to the hospital. How do you get to the hospital when the hip is broken? Well, because her husband, seeing that her hip was broken, called the hospital up and sent somebody to get her. All that is understood by people. And when you explain a why, you have to be in some framework that you allow something to be true. Otherwise, you’re perpetually asking why. Why did the husband call up the hospital? Because the husband is interested in his wife’s welfare. Not always, some husbands aren’t interested in their wives’ welfare when they’re drunk, and they’re angry. And you begin to get a very interesting understanding of the world and all its complications. If you try to follow anything up, you go deeper and deeper in various directions. For example, if you go, “Why did she slip on the ice?” Well, ice is slippery. Everybody knows that, no problem. But you ask why is ice slippery? That’s kinda curious. Ice is extremely slippery. It’s very interesting. You say, how does it work? You could either say, “I’m satisfied that you’ve answered me. Ice is slippery; that explains it,” or you could go on and say, “Why is ice slippery?” and then you’re involved with something, because there aren’t many things as slippery as ice. It’s not very hard to get greasy stuff, but that’s sort of wet and slimy. But a solid that’s so slippery? Because it is, in the case of ice, when you stand on it (they say) momentarily the pressure melts the ice a little bit so you get a sort of instantaneous water surface on which you’re slipping. Why on ice and not on other things? Because water expands when it freezes, so the pressure tries to undo the expansion and melts it. It’s capable of melting, but other substances get cracked when they’re freezing, and when you push them they’re satisfied to be solid. You say, “That’s very strange, because I don’t feel a kind of force like that in other circumstances.” When you turn them the other way, they attract. There’s a very analogous force, electrical force, which is the same kind of a question, that’s also very weird. But you’re not at all disturbed by the fact that when you put your hand on a chair, it pushes you back. But we found out by looking at it that that’s the same force, as a matter of fact (an electrical force, not magnetic exactly, in that case). But it’s the same electric repulsions that are involved in keeping your finger away from the chair because it’s electrical forces in minor and microscopic details. There’s other forces involved, connected to electrical forces. It turns out that the magnetic and electrical force with which I wish to explain this repulsion in the first place is what ultimately is the deeper thing that we have to start with to explain many other things that everybody would just accept. You know you can’t put your hand through the chair; that’s taken for granted. But that you can’t put your hand through the chair, when looked at more closely, why, involves the same repulsive forces that appear in magnets. The situation you then have to explain is why, in magnets, it goes over a bigger distance than ordinarily. There it has to do with the fact that in iron all the electrons are spinning in the same direction, they all get lined up, and they magnify the effect of the force ’til it’s large enough, at a distance, that you can feel it. But it’s a force which is present all the time and very common and is a basic force of almost – I mean, I could go a little further back if I went more technical – but on an early level I’ve just got to tell you that’s going to be one of the things you’ll just have to take as an element of the world: the existence of magnetic repulsion, or electrical attraction, magnetic attraction. I can’t explain that attraction in terms of anything else that’s familiar to you. For example, if we said the magnets attract like rubber bands, I would be cheating you. Because they’re not connected by rubber bands. I’d soon be in trouble. And secondly, if you were curious enough, you’d ask me why rubber bands tend to pull back together again, and I would end up explaining that in terms of electrical forces, which are the very things that I’m trying to use the rubber bands to explain. So I have cheated very badly, you see. So I am not going to be able to give you an answer to why magnets attract each other except to tell you that they do. And to tell you that that’s one of the elements in the world – there are electrical forces, magnetic forces, gravitational forces, and others, and those are some of the parts. If you were a student, I could go further. I could tell you that the magnetic forces are related to the electrical forces very intimately, that the relationship between the gravity forces and electrical forces remains unknown, and so on. But I really can’t do a good job, any job, of explaining magnetic force in terms of something else you’re more familiar with, because I don’t understand it in terms of anything else that you’re more familiar with.